We walked around the neighbor and the walk turned out really nice. The view from the hill was gorgeous, and learned that the city has a really nice library. 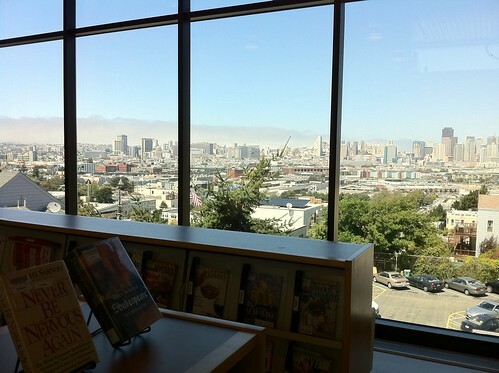 I really don’t mind chilling out at the library for some serious blogging while watching the gorgeous city of San Francisco. 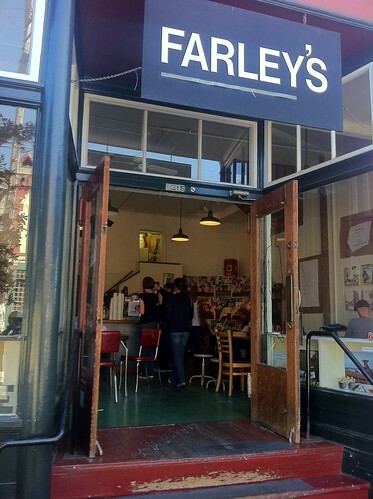 After walking around we stopped by a caffee shop called Farley’s. The latte was really good, so I gave it a 4 stars on Yelp. Yay! There were few other restaurants that looked really great, so I’ll definitely stop by and something out. Potrero Hill is located on the eastern side of the city, east of the Mission District and south of SOMA (South of Market) and the newly designated district Showplace Square. It is roughly bordered by 16th Street to the north, Potrero Avenue (above 20th Street) and U.S. Route 101 (below 20th Street) to the west and Cesar Chavez Street to the south; although the city of San Francisco considers the area below 20th Street between Potrero Ave and Route 101 to be part of Potrero Hill as well, as outlined in the Eastern Neighborhood Plan. 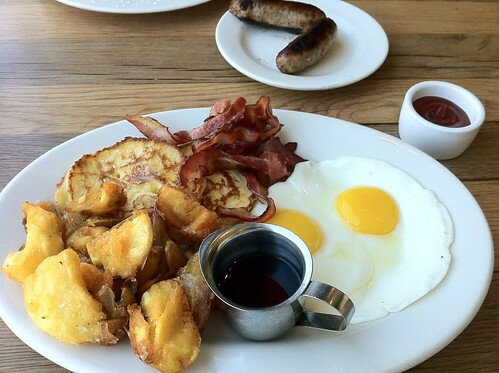 The area east of Highway 280 is Dogpatch, generally regarded as a subdivision of Potrero Hiill. Dogpatch is mostly flatland and has many docks and most are built atop landfill. Dogpatch is a highly industrialized area with pockets of residences while Potrero Hill is mostly a residential area with some light industrial buildings. Dogpatch is regarded as part of Potrero Hill although it has its own unique characteristic and identity.